Susan R. Jones, Founder and CEO, of Possibilities Forward LLC, an executive coaching and consulting firm, holds a Certificate in Leadership Coaching from Georgetown University and is a member of the International Coach Federation. For more than 25 years she has been a lawyer, clinical law professor, and the director of the Small Business & Community Economic Development Clinic at The George Washington University Law School. In this capacity she’s taught, counseled and mentored scores of law students and as program director she’s managed teams, represented hundreds of entrepreneurs, nonprofit organizations, microentrepreneurs, social entrepreneurs, artists, musicians, and other creative entrepreneurs. 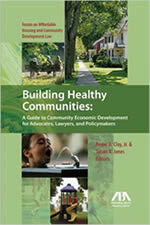 Susan has held numerous leadership positions in the American Bar Association (ABA) and the Association of American Law Schools including Editor- in-Chief of the ABA Journal of Affordable Housing and Community Development Law. 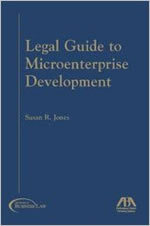 As an author, Susan has written numerous articles and several books including, A Legal Guide to Microenterprise Development and she is the co-editor of Building Healthy Communities: A Guide to Community Economic Development for Advocates, Lawyers and Policymakers, both published by the American Bar Association. Susan holds a Bachelor of Arts Degree in Political Science from Brandeis University and a Juris Doctor degree and a Master of Arts in Teaching from Antioch School of Law. She is a member of Leadership Greater Washington. She’s been described as being passionate not only about being a law professor and lawyer but also about helping people and organizations realize and actualize their possibilities.